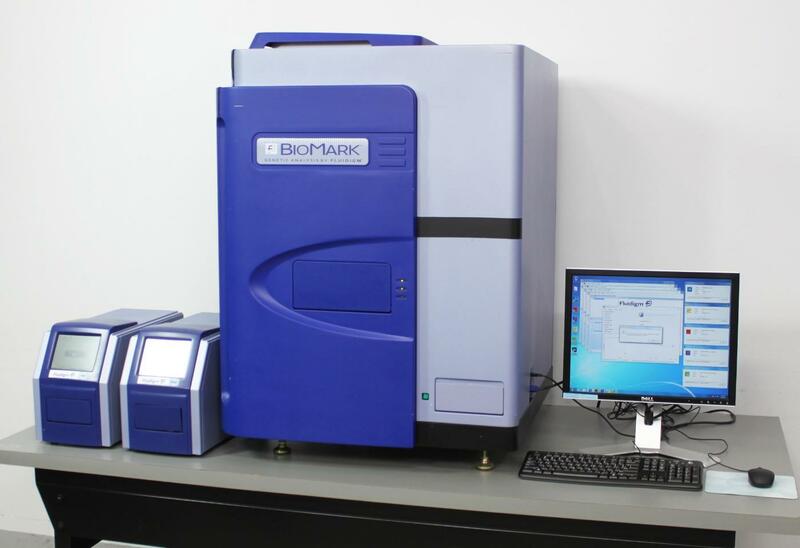 Fluidigm BioMark Genetic Chemistry Real-Time PCR Analysis IFC Controller MX HX . New Life Scientific, Inc.
Mfg 2010. Inspected & Tested. Includes 90-Day Warranty. Manufactured in 2010 and still supported by Fluidigm, this BioMark system has been thoroughly inspected by our technical staff and tested to confirm it fully-functional. condition and ready to be put back into operation. the instrument at our facility to operating the instrument in your laboratory. including its internal components, are in such good condition. start correctly, including the main BioMark Data Collection application. enters a green ready state. Chips were loaded successfully. 48.48 and 96.96 IFC format. Reagents and other consumables are available from Fluidigm.